With a clutch of generally glowing reviews and an ever expanding catalogue of instruments, that boasts users like Sandi Thom and Ricky Ross (of Deacon Blue fame) With the addition of the RENFBK Folk Body Acoustic Guitar, Freshman Guitars are fast becoming the brand to be reckoned with. 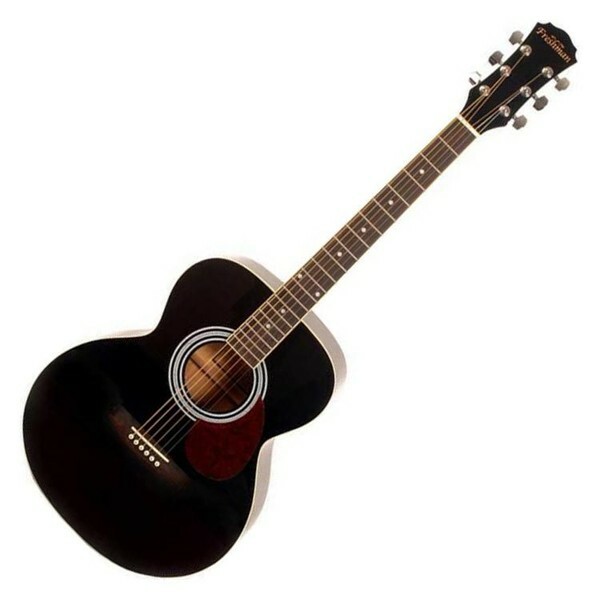 Unlike many other manufacturers, Freshman Acoustic Guitars are designed in the UK. All materials are sourced and selected personally by they themselves and all their guitars are built to their exact specifications. Before leaving their UK factory, every guitar is inspected and tested by experienced Luthiers making sure the instrument easier to play. With Freshman the end result is a great sounding quality instrument at an affordable price. In their short history they have been awarded 9 Best Buys from Total Guitar Magazine and received a rating of 96/100 from Acoustic magazine, the highest result of any electro acoustic guitar! Whether you are a beginner or a professional guitarist, if you want an exceptional guitar you need a Freshman guitar.